The term “iatrogenic” means doctor, drug or surgery-caused disease. It is a taboo subject in America today. Apparently Kristofferson (right) had been mis-diagnosed with Alzheimer’s dementia about three years ago, which started more than one medical misadventure for he and his neurologists involving neurotoxic medication trials with drugs. Those drugs that Kristofferson was treated with had been approved by the FDA on the basis of a couple of short-term trials involving only a few hundred so-called “Alzheimer’s Dementia” patients. The results that were submitted to the FDA showed only minimal improvement (albeit “statistically significant”), but only in mild to moderate dementia. Thus treating severely demented patients with those drugs was not FDA-approved (“off-label”). Kristofferson had thus been treated with what is actually now considered by the medical community to be ineffective, non-curative and the cause of many serious drug-induced adverse effects. In other words, Kristofferson a victim of serious dementia and a resident of Big Pharma-dominated America, was given the standard Alzheimer’s drug treatment: oral Namenda (Novartis) and Exelon (Forest Pharmaceuticals, Inc). Another drug that is similar to Namenda is Aricept (Eisai Pharmaceuticals), which has been found to be equally ineffective. All three of those drugs are highly profitable synthetic drugs that are non-specific anti-cholinesterase drugs that are now actually widely acknowledged to be useless for any kind of dementia – not to mention the fact that they are all very expensive and carry serious and sometimes debilitating adverse effects which can include somnolence, insomnia, fatigue, appetite suppression, dizziness, depression, confusion, emotional lability, fainting, and even diarrhea! John Gilbert and I are both Kris Kristofferson fans. We both appreciate his song-writing genius (and performances). In my opinion, his lyrics and tunes rank right up there with Bob Dylan, although Kris was more understandable when performing. 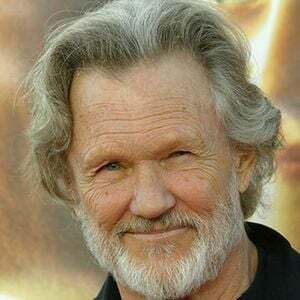 Some of my favorite Kristofferson songs that come to mind include Me and Bobby McGee, Loving Her Was Easier, Why Me Lord, Sunday Morning Coming Down, Once More With Feeling, Help Me Make it Through the Night, Jody and the Kid, etc.). At the most recent concert that the Gilberts attended, it was revealed that the singer’s so-called (and mis-diagnosed) Alzheimer’s Disease has been miraculously cured three weeks after he stopped three offending drugs and started antibiotic treatment because he had been found to have a positive blood test for Lyme Disease. Thus, with a new diagnosis that explained a number of his symptoms, Kristofferson’s new physician stopped the two Alzheimer’s drugs and an (unnamed) antidepressant drug that had been prescribed for so-called fibromyalgia, and he was simultaneously started on a tetracycline antibiotic and an anti-protozoal drug (that was FDA-approved only for protozoal diarrheas, such as could occur from giardiasis). Within three weeks of stopping the medications and starting the antibiotics, Kristofferson’s dementia had improved dramatically. Not surprisingly, all of the glory has been attributed to the new diagnosis and the antibiotic, rather than to the stoppage of the likely offending drugs, which are all known to commonly cause symptoms that could have caused his dementia or fibromyalgia or depression symptoms (see list above)! For the past three years, Kris was treated for Alzheimer’s by two different neurologists. He was on two drugs for it, Namenda and Exelon patches. But finally, a spinal tap and functional MRI ruled out Alzheimer’s, so he quit those meds and the antidepressant for fibromyalgia. They also tested him for Lyme Disease in the spinal fluid and it was negative but the doctor explained to me that Lyme does not live in fluid, it lives in tissue. It bores into tissue so you would really have to do a biopsy of the brain to find it. He was taking all these medications for things he doesn’t have, and they all have side effects. After he gave up his Alzheimer’s and depression pills and went through three weeks of Lyme disease treatment, all of a sudden he was back. As mentioned, all the news has been glorifying the new diagnosis of Lyme disease and the antibiotics. The news has also been inadvertently discrediting the doctrinal assertions of the many Alzheimer’s Disease patient advocacy groups (such as the Alzheimer’s Association and the Alzheimer’s Foundation of America [and even the Mayo Clinic’s website]) which state that there are no known causes of AD and consistently fail to mention the many drug-induced (iatrogenic) causes of dementia. The term “iatrogenic” means doctor, drug or surgery-caused disease. It is a taboo subject in America today. At this point it is essential to point out that the epidemic of dementia and mental illness and autoimmune disorders in American adults coincides perfectly with the aggressive prescribing of psychiatric drugs, statin (cholesterol-lowering) drugs and the regular use of mercury (in the annual flu shots) and aluminum adjuvants in the vaccines given to adults, adolescents and children (and infants in many cases). Both mercury and aluminum are toxic to the brains and nerve tissues of all animals, including humans, and statin drugs like Lipitor have FDA-required black box warnings because they are known to cause memory loss, the first and essential symptom of dementia. A major problem behind America’s over-diagnosing, over-prescribing and over-vaccinating is the fact that there are so many corporate-funded groups with serious economic and/or professional conflicts of interest that work hard to promote the awareness and de-stigmatization of any and every disease for which there is an FDA-approved drug. The corporate sponsors, who have very deep pockets, are everywhere where potential prescribers and potential patients are, and not just on prime time television and the internet. That list of conflicted groups includes 1) pharmaceutical corporations that sell drugs and vaccines, 2) medical device manufacturers that want to sell their medical devices, 3) diagnostic testing corporations that manufacture and promote their products, 4) Big Vaccine corporations that promote mandatory or mandated vaccination schedules (including unproven-for-safety combination inoculations for infants), 5) patient advocacy groups that promote certain diseases, 6) government bureaucracies that are heavily subsidized by Big Pharma (CDC, FDA, NIH, HHS, etc) and 7) those Big Pharma-connected organizations (AMA, AAP, APA, AAFP, etc) that try to demonize and discredit safer and potentially curative non-drug approaches to ill health like psychotherapy, nutritional therapies, etc. The dramatic Kristofferson story was well-received by the Lyme Association of America and the many similar Lyme patient advocacy groups. However, it has not been well-received by the Alzheimer’s Association because it revealed one of the AA’s blind spots: that there is such a thing as drug-induced dementia that could potentially be cured by stopping the offending drug(s). But the whole Kristofferson story raises a number of issues. For example, one must ask how prevalent is iatrogenic memory loss secondary to prescribed drugs? That is an issue that, if brought up among civilized people with no profit motives, would terrify the thousands of for-profit healthcare corporations and their sycophants. I have written about psychiatric drug-induced dementia in the past, mainly referring to the ground-breaking book on the subject that is titled “Drug-Induced Dementia: A Perfect Crime”, authored by practicing psychiatrist Grace E. Jackson. The truth is that people diagnosed as “mentally ill” for life are often simply those unfortunates who have found themselves in acute or chronic states of potentially reversible crises or temporary “overwhelm” due to any number of preventable, treatable and even curable situations. Examples include such things as being in bad company, or being a victim of poverty, abuse, violence, torture, homelessness, discrimination, underemployment, malnutrition, addictions/withdrawal, electroshock “therapy” and/or exposure to neurotoxic chemicals in their food, air, water or prescription bottles. Any of those examples can mimic a so-called “mental illness of unknown cause” or a reversible dementia like Kris Kristofferson had. Those labeled as the “mentally ill” are not much different from those of us who call ourselves “normal”. But we “normals” have just been lucky enough to have not yet decompensated because of some yet-to-happen, desperation-inducing life situation. And thus we may not have yet been given a billable diagnosis with a billable code number, and so we have not yet been prescribed some unaffordable prescription drug that could put us on the road to permanent dependence, disability and institutionalization. My clinical experience with over a thousand so-called “mentally ill” patients (most of whom were mis-labeled) has led me to agree with Jackson’s assertions. I fully agree with her warnings that the chronic use of psychiatric drugs is a major cause of memory loss, dementia, cognitive disorders, loss of IQ points, loss of creativity, loss of impulse control, loss of spirituality, loss of empathy, loss of energy, loss of strength, and a multitude of metabolic adverse effects (like psych drug-induced obesity, hypertension, diabetes and hypercholesterolemia). There is no question in my mind that these drugs can sicken the body, brain and soul by causing adverse drug effects such as insomnia, somnolence, increased depression, mania, anxiety, delusions, psychoses, paranoia, etc. So before filling the prescription, I strongly urge pill-takers to read the product insert information under WARNINGS, PRECAUTIONS, ADVERSE EFFECTS, CONTRAINDICATIONS, TOXICOLOGY, OVERDOSAGE and the ever-present BLACK BOX WARNINGS ABOUT SUICIDALITY, HOMICIDALITY AND MEMORY LOSS. Dr. Peter Breggin (www.breggin.org) has warned us in his writings about a new syndrome that he calls psychiatric drug-induced Chronic Brain Impairment (CBI). It is caused by the chronic usage, especially with large doses or with combinations of psychotropic drugs. CBI could also be regarded as a chemically traumatic brain injury (cTBI) and it can mimic Alzheimer’s Disease. In medical school, we students half-joked that Thorazine and Haldol caused “chemical lobotomies” in its victims. Little did we know how close to the truth we were. Chemical lobotomy is a useful way to conceptualize the serious issue CBI or cTBI, because such brain-altered patients are often indistinguishable from those who have actually suffered a physically traumatic brain injury (TBI) or have been subjected to “ice-pick” lobotomies (which were popular in the 1940s and 50s before the drugs came on the market and rapidly replaced that dastardly industry). For more information on these extremely serious topics check out these useful websites that accept no pharmaceutical money: http://rxisk.org/, www.madinamerica.com, www.mindfreedom.org, www.breggin.com, www.icspponline.org; www.cchrint.org, www.drugawareness.org, www.psychrights.org, www.quitpaxil.org, www.endofshock.com, www.nvic.org/, and follow the links. In conclusion, I attach a number of useful items that support some of the realities mentioned above. The CDC, much to the delight of Big Vaccine corporations, spent more than $4 billion in 2015 purchasing childhood vaccines from them. The CDC has paid out more than $3 billion to families because of the harm, including deaths and permanent disabilities, caused by certain childhood vaccines. Big Pharma’s profit-driven model plays a very significant role in the way public health policy is determined. The power of Big Pharma is not a secret, nor is it a conspiracy theory. It is estimated that errors from medical treatment kill up to 98,000 people in U.S. hospitals every year and characterized the problem as among the nation’s leading causes of death and injury. Iatrogenic infections in the US (“iatrogenic” — meaning “induced by a physician,” or, more loosely, “caused by medical care”) are directly responsible for 20,000 deaths among hospital patients in the U.S. each year, and they contribute to an additional 70,000 deaths, according to the CDC. The dollar cost of iatrogenic infections is $4.5 billion. A new poll from the American Medical Association nonprofit National Patient Safety Foundation (NPSF) finds that 42 percent of people say they’ve been affected by physician errors, either directly or through a friend or relative. The survey found that 40 percent of the people who had experienced a medical mistake pointed to misdiagnoses and, therefore, wrong treatments as the problem. Medication errors accounted for 28 percent of mistakes. AMA leaders say it’s time to bring the issue out into the open, rather than living in constant fear that any admission of error will launch a flood of malpractice lawsuits. Poorly designed health care systems may be largely to blame. Doctors and nurses often work double shifts, making them more prone to error.